THANK YOU FOR ATTENDING 2019 LEAD! Social Work Legislative Education and Advocacy Day (LEAD) is a legislative event hosted by the National Association of Social Workers - New York State (NASW-NYS) Chapter, the New York State Social Work Education Association (NYSSWEA), the New York State Association of the Deans of Schools of Social Work, and the National Association of Social Workers - New York City (NASW-NYC) Chapter that brings hundreds of social work students and professionals to the Capitol. The goal of this event is to further social workers’ knowledge about policy issues in substantive areas of social work practice, teach participants about legislative advocacy, and provide an opportunity for social workers to lobby on behalf of specific legislation. DEADLINE EXTENDED! The registration deadline has been extended to Thursday, February 28, 2019. This year, we will be rallying for Racial Equity Assessment in Legislation (REAL). We will have speakers from various social work organizations and members of the community. Our rally will begin 9:30AM at West Capitol Park. Signs are encouraged, but please remember that we cannot have sticks or dowels at the rally (poster board is permitted!). Check-in and registration will be outside at the West Capitol Park, which is also the location of our rally for REALNYS. After the rally, individuals with early legislative appointments should proceed through security at the Capitol and/or Legislative Office Building (LOB). Folks with later appointments can rest in The Empire State Plaza Concourse Meeting Rooms 3 & 4 (located below The Egg Performing Arts Center). Check-in will be outside at the West Capitol Park, where you will receive your individual legislative packet, which will contain important day-of information, and your LEAD swag! From there, you will be steps away from where the rally will take place. After the rally, anyone with early legislative appointments should proceed through security at the Capitol and/or Legislative Office Building (LOB). Anyone with later appointments can rest in The Empire State Plaza Concourse Meeting Rooms 3 & 4 (located below The Egg Performing Arts Center). We recommend parking in the V-lot, located beneath the Empire State Plaza and accessed through I-787 Empire State Plaza exit. Visitors are required to show photo identification upon entry and all vehicles are subject to search by the State Police. This lot has designated accessible parking spaces. Additional lots are also available in the area. Please see the following links below for information on additional parking and directions on how to get to the Empire State Plaza. Will there be food provided at LEAD? We will have coffee, orange juice and water, along with snacks available to LEAD participants. There are a variety of restaurants in the Empire State Plaza/Concourse and nearby that you can visit for more substantive fare. How will I be able to identify staff members/volunteers at the event? NASW-NYS staff members and 2019 LEAD volunteers will be available to assist you with directions and answer your questions. Staff and volunteers can be identified by a red beanie adorned with a red pom pom – for we are a stylish bunch! Where is the rally located? Can I bring signs? How will I know the times and locations of my legislative visits? If you selected legislative appointments as your LEAD activity, information about your appointments will be in the legislative packet that you receive at check-in. Time and location of your appointment(s) will be included. If you selected blanket canvassing as your LEAD activity, please proceed to the Empire State Plaza Concourse Meeting Rooms 3 & 4. Your packet will contain information on what group you have been assigned to (group number will be listed under your name). It is imperative that you attend each of your legislative appointments. While the Capitol can be a bustling and confusing place, it is your responsibility to ensure that you get to the legislator's office, preferably a few minutes ahead of schedule. If you get turned around or cannot find the office you are looking for, pop into another office and ask someone for assistance. What is the difference between legislative appointments and blanket canvassing? Legislative appointments are scheduled meetings between you and your legislator. Your legislator’s office will be expecting you, and appointments typically run for 15-20 minutes. Blanket canvassing is an activity that involves working together in teams assigned to specific areas of the Legislative Office Building and the Capitol, leaving behind materials at every legislative office to inform them of our advocacy issues. This is not a scheduled meeting and visits are typically very brief. However, depending on your legislator and/or their staff’s availability, you may end up speaking to them for an extended period of time. How will I know if I was selected as Group Leader? What are my responsibilities during the event? Group leaders will be selected based on preference (you identified your willingness to be a group leader when you registered) and need (we will typically only assign one group leader per meeting). Group leaders for both legislative appointments and blanket canvassing will be notified prior to the event. Group leaders are responsible for taking the lead on assigned meetings with legislators (no more than two meetings will be scheduled per person). Knowledge of the issues, comfort in speaking with staff and elected officials, and leading the group in conversation are required. Group leaders will also be responsible for the leave behind materials for each meeting they are assigned. Should I continue with my meeting if my legislator is not present? Oftentimes, the legislator may not be able to meet with you, but a staff member is almost always available. Meet with the staff member; they will bring your concerns back to the legislator. Do not cancel the meeting under any circumstances. Make sure a packet is left behind for the legislator and/or staff member. My appointment time was changed and now I have two conflicting appointment times. Which one should I go to? The key to a successful LEAD is preparing for the unexpected. Oftentimes, meetings will unexpectedly change. If you have two appointments scheduled at the same time, visit the legislator you think would most benefit from the meeting. It is helpful to do prior research to know your legislators and their position on the issue/similar issues to best inform your decision. If you are not sure, find your faculty liaison or a volunteer (red beanie with red pom pom); we will help you prioritize the visits. 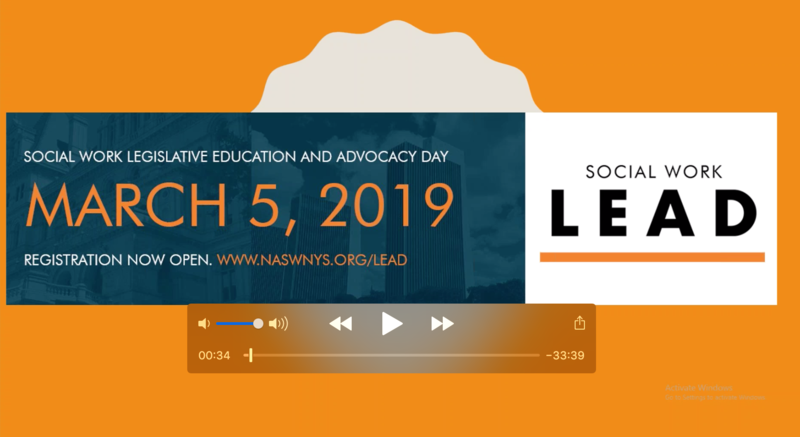 Resource: Please watch 2019 NASW-NYS LEAD Registrant Information video for information on how to find your legislators. I have downtime between appointments/I completed my legislative visits early. Where can I wait? Use the button below to find your NYS Senate representative using the address you are registered to vote with (If that option is not available, you may enter your school's address). You may also call the NYS Senate Switchboard to find your Senator. Understanding the process of a bill becomes law in New York State. Answering your questions about LEAD! Use the button below to find your NYS Assembly representative using the address you are registered to vote with (If that option is not available, you may enter your school's address). You may also call the NYS Assembly Switchboard to find your Assemblymember. Some tips to help you prepare for your meeting with your legislator. Access all the resources and information you need for 2019 LEAD in one folder. 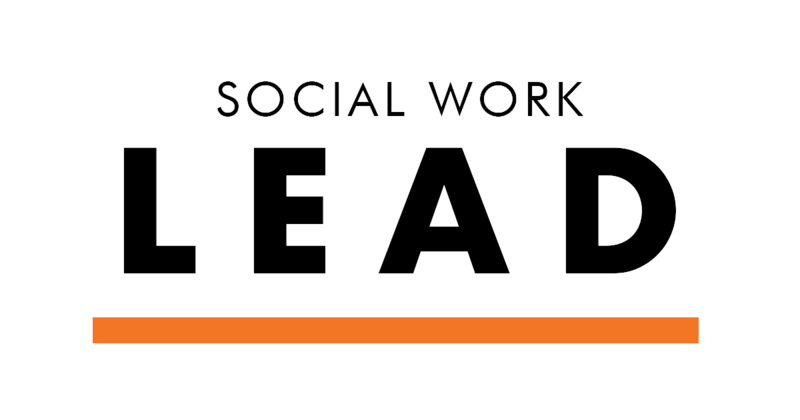 If you have any questions about LEAD, please contact the NASW-NYS Chapter at info.naswnys@socialworkers.org or at 518-463-4741. Please check your emails for an important post-event evaluation survey.